It's so pretty and dreamy!! Thanks! It was nice walking along Fifth Ave and seeing each store decked out in holiday gear. And of course Rockefeller Center was incredible. Then I visited Macy's the following night to see their windows. Very pretty pictures! My boss told me the Macy's window displays here in Chicago were bad this year. Hope yours were better. Wow those pictures are beautiful! I'm sure they don't even do justice to seeing it in person. So beautiful! 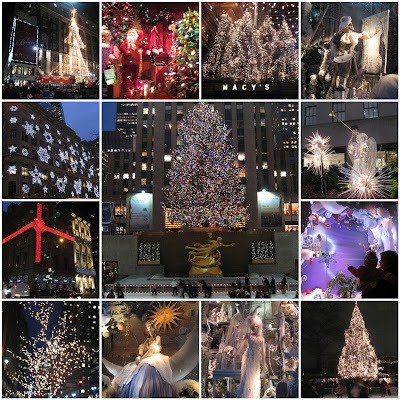 I think that NYC must be the most amazing city to be in for the holidays.